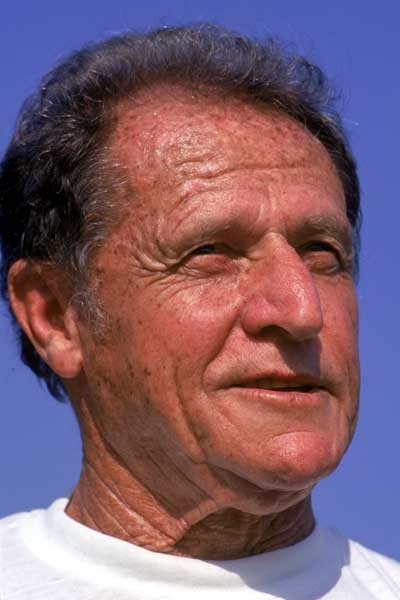 Arthur Lydiard (born as Arthur Leslie Lydiard in Auckland, New Zealand, died in Texas, U.S.) was a famous Athlete from New Zealand, who lived between July 6, 1917 and December 11, 2004. He became 87 years old. Arthur Leslie Lydiard was a world-renowned running coach, and he is considered among the most influential running coaches in his time. Lydiard trained including Peter Snell, who won the Rome Olympics in 1960 at 800 meters. He was also behind the Finnish runners' success in the 1970s. Among Lasse Virén, who won four Olympic gold and set several world records. Lydiard was a transition in Denmark, and here was coach of the Danish top runners such as Loa Olafsson and Tom B. Hansen. Lydiard focused especially on long slow runs, many miles in the basic training period (up to 250 kilometers races each week), formtop up. He claimed to be the author of jogging. He is born under the zodiac cancer, who is known for Emotion, Diplomatic, Intensity, Impulsive, Selective. Our collection contains 4 quotes who is written / told by Arthur.